This update contains a fully redesigned landing page in form & function, a completely overhauled recipient user experience, as well as a number of exciting new features and improvements. For more information on any of the above features and improvements or to schedule a demo, please Click or Call. The StudioCDN v.1.1 Update is Now Live! 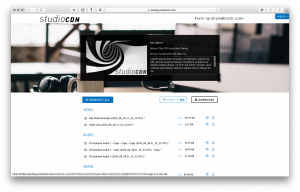 The StudioCDN web-app update v.1.1 is now live and available to all StudioCDN web-app users. 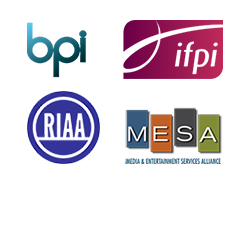 This update contains a number of exciting new features, a simplified editor interface, as well as bug-fixes and improvements. 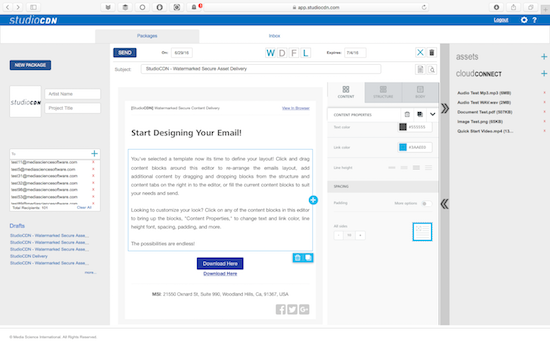 Redesigned Email and Asset Panels providing a smooth, simplified work-flow. Enhanced asset upload capability for the handling of large files. Ability to resume stopped / broken uploads. Boosted asset upload speed for rapid delivery. 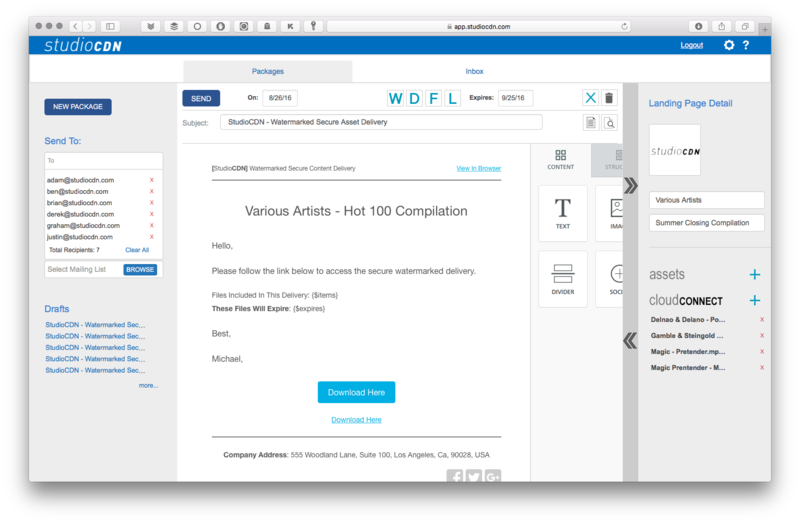 Improved handling, de-dupe, and error identification in email distribution lists. Export Activity option providing a downloadable report of recipient activity for all past and future deliveries. Fixed issue where email addresses did not appear in alpha-numeric order in StudioCDN editor Recipients List. Fixed issue where proxy email addresses did not appear in alpha-numeric order in StudioCDN editor Send on Behalf feature drop-down menu. Recipient email addresses now displayed in alpha-numeric order in the StudioCDN editor recipients list. https://studiocdn.com/wp-content/uploads/2015/11/watermarking-software-tool-studioCDN-logo-650x156.png 0 0 Maintenance https://studiocdn.com/wp-content/uploads/2015/11/watermarking-software-tool-studioCDN-logo-650x156.png Maintenance2016-08-29 17:43:032018-04-28 17:29:30The StudioCDN v.1.1 Update is Now Live! Not that long ago, business productivity and performance revolved primarily around client-server architectures and desktop computing. Laptops and other mobile devices were viewed mostly as a way to get work done while away from the office or in the field. Almost without exception, it was difficult and often incredibly time-consuming to sync contacts, emails, files, and other data across various devices and systems. In addition, real-time data and information were still a far-off concept.